granny smith apples – Damn, I Can Make That! After the weekend we just had, we’re in need of some serious detox recipes. Honestly. I never want to see another vodka martini, lemon drop, or 7&7 again. Seeing the rough state I was in (don’t judge. 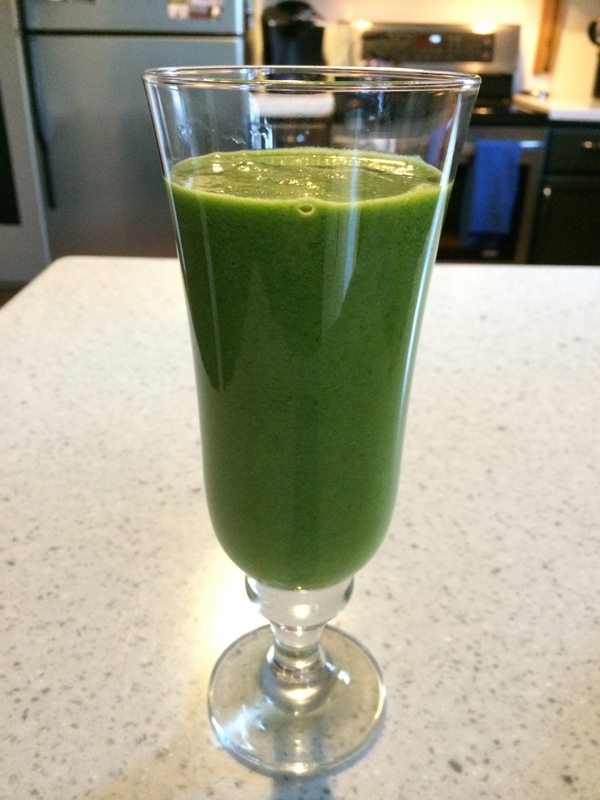 I’m sure we’ve all been there) I had some high hopes for this delicious green concoction and it didn’t disappoint. Mix it all together in your blender until smooth. That’s it! When it comes to these shakes, I like to play around with different ingredients. I tend to stick with a green veggie (spinach, kale, etc.) and pair it with a citrusy fruit to counteract the bitterness of the veggies. If you have a combo you’ve tried and love, send it our way or tweet us @damn_delish! We’d love to hear what your favorites are.